Over the past twenty years, the technology behind police car video surveillance systems has evolved significantly. Simultaneously, acceptance of these systems among citizens and police has continued to grow. Police car video surveillance systems are commonly referred to as in-car video (ICV), and I am often called to appear as an expert witness when such video recordings are introduced as evidence in a trial or hearing. My job is to clarify the contents of the video and check that the recording has not been tampered with in any way. Modern ICV systems are completely digital and store compressed video with sound on hard-disk or solid-state drives. The police officer or state trooper wears a wireless mic, and a dash mounted camera captures video. During a traffic stop, the ICV makes a permanent record of everything that transpires between the police and motorist. The watermarked video is stored in a tamper-proof enclosure, and a careful chain of custody is maintained as the video is removed from the car, downloaded, and archived. Here are the numbers: there are about 18,000 independent municipalities in the U.S., and they own roughly 450,000 patrol cars. Approximately 50% of those cars are currently equipped with ICV. With systems priced between $3,000 and $5,000 per vehicle, this represents a substantial investment. Despite tight local budgets, sales of ICV systems to state and local law enforcement continue to grow at a healthy rate. Given the growth of the industry, I was quite surprised by a story related to me recently by a colleague. He said that the Massachusetts State Police had recently removed all ICV systems from their patrol cars in an effort to boost conviction rates in cases where traffic stops resulted in arrests. Could it be true that a completely objective record of arrests was of greater use to defense attorneys than prosecutors? My colleague was right. Currently, not a single Massachusetts State Police patrol car is equipped with in-car video. But there’s more to the story. Their patrol cars have NEVER had ICV! Digging deeper, I found that even though 72% of all Highway Patrol and State Police patrol cars are ICV equipped, there are 4 or 5 states where none of these vehicles have video, and Massachusetts is one of those states. It seems there are a variety of factors that play a part when state or local police make the choice to opt-out of ICV technology. There may be budgetary constraints, or officers and their unions may object on the grounds that ICV hampers police, who are constantly on guard against being caught making a mistake or an error in judgment. Then, there are different interpretations of overlapping federal, state, and local laws regarding privacy; there are states where audio and/or video recording requires dual party consent (e.g., Massachusetts), and there are states where single part consent is sufficient (e.g., Maine). My guess, however, is that the most important factor in determining whether state or local police have ICV is public opinion. For some, the threat of “Big Brother” watching them 24/7 makes ICV an indefensible intrusion on their civil rights and their privacy. 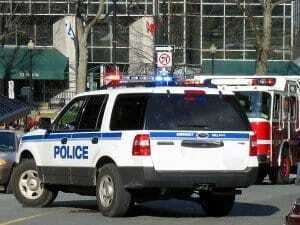 Massachusetts State Police have no in-car video and neither do local police in Boston. But anecdotal evidence suggests that the farther one travels east, away from Boston, the more local police patrol cars are ICV equipped. Personally, I think ICV helps protect everyone involved, both officers and motorists. And according to The International Association of Chiefs of Police, in situations where an officer’s conduct has been called into question, police car video surveillance systems have helped exonerate those officers in 96.2% of all cases. How To: CCTV Enhancement; Improve the Quality of My Video Evidence? You have a video and the quality is poor. You need to see the events recorded in the video more clearly than what is currently available. Chances are that your video is probably part of a court case and has a critical impact on the judge and jury better understanding the events as they originally occurred. Video is a very powerful tool and helps law enforcement display criminal activity in the courtroom. Video also helps keep businesses secure through the use of surveillance video. When a crime is committed and caught on CCTV video, video forensics experts can help clarify and enhance that video so the court and other litigators can see the events more clearly during the court proceeding. On the other hand, maybe you have an old video, like a wedding video that has aged and damaged from poor storage or became over heated on the dashboard of your car in the hot sun. Video forensic experts have the hardware and software tools available to restore that video to a playable condition in most situations. The success of the restoration, clarification and enhancement, depends on two things; how damaged the tape is and your expectations of what is possible. Many video recordings are too far gone for the forensic expert to properly restore. However, I have found over the years that experimenting with various restoration tools, hardware and software, in various combinations, yield results. You have to have a starting point to work from to achieve results. What may seem impossible can be very possible when using various tools in various combinations. If you have a video that needs the quality improved, call us for a pro bono consultation (800) 647-4281. In many of the cases I investigate as a video forensic expert, there could have better outcomes. If more thought was put into CCTV surveillance camera placement locations, more CCTV video would be useful in litigation. Here are a few things to keep in mind when deciding where to place cameras in your business or home. First, remember that it’s better to install too many cameras than too few. If you are not sure if you have an area adequately covered, then you probably do not. You will save money in the long run by installing plenty of cameras to cover an area rather than trying to salvage CCTV footage that is either poor quality or the crime is not close enough to cameras. Point tilt zoom (PTZ) cameras are worth the extra investment. Surface mounted cameras work well for areas that are small and pedestrian traffic is close to the camera. However, for larger areas, PTZ cameras will provide much better coverage. Do not mount CCTV cameras pointing toward light – mount cameras with the light source (daylight or interior lighting) behind the camera. Light in front of the camera will cause the subjects that you want to see to be dark. If a crime is ever committed and caught on your CCTV system, do not delete the original video recording from your DVR. Rather, export the portion of your recording that shows the crime in as high a digital video resolution as possible. 720 X 480 is very good. Anything lower will be hard to work with forensically. If you follow these guidelines and a crime is committed at your business or residence, your forensic investigation and ability to identify perpetrators and criminals will be greater than if you simply install and operate with little or no knowledge. Take my advice and install your CCTV system right. Hopefully you will never need the recordings but if you do you will be glad you installed it right. Closed Circuit television systems (CCTV) are a very useful tool for businesses, governments, institutions, etc… mainly because they can keep an area secure and safe automatically without human interaction. Some organizations chose to have security personnel monitor the camera surveillance at a location point within the building while others let the closed circuit television system operate on its own while recording what the camera sees. The general rule of thumb for hard drive storage on these CCTV systems is first in, first out. Which means, after a 30 day period, for example, the video footage that was recorded 30 days ago is erased as the new footage from today is being recorded. Technological advancements have contributed this automatic process to the video surveillance method system. As a video forensic expert, I am being asked more and more to determine first if the accused is in fact present in the surveillance video. Often times enhancement is necessary and has become more the rule than the exception as a part of our video forensic practice. I have recently worked on two cases outside of the United States where the source video footage that required expert enhancement was a CCTV video. One of the sources did portray the person in question plain as day: there was no doubt that the suspect or the person accused was in this video. This very same system on another separate day recorded another piece of video footage. In this video footage, this accused individual claims that there is an entirely different person present. In this particular video it’s not necessarily as plain as day whether or not the suspect is actually in that video. Aside from this case, I had another case also outside of the United States that involved a similar situation where the accused was said to have been a part of a surveillance video but the accused swears that they were not. And in this second case all I had to work with were photographs of the person in question which I used to compare to the video surveillance evidence. In order to accomplish this, I looked for a shot that seemed to be relatively same in proportion to the photograph. I then exported a single frame from the video out of Premiere Pro and imported that frame into Photoshop for further enhancement and restoration in order to compare the two photographs. When comparing the two, I needed to determine if there were any facial, height, nose, ear, chin, head size, head shape, arm length, hand length, or any other body characteristics that were matching up in both pictures in order to determine if it was indeed the same person. In the first case that I was referring to, I had the opportunity to record an exemplar on the same system that created the evidence video. Now in my professional opinion, this is the way to go about identification if there is any doubt that the accused is a suspect in a crime that was caught on that surveillance system. We coordinated the facility’s surveillance systems with the attorney and the suspect, and the attorney and suspect went back to the exact same location where the evidence video was recorded. They stood in the exact location that the accused supposedly stood in when the crime was being committed. In this particular case, I was able to use the same process of exporting a frame from the video at the most optimum moment from each video– the evidence and the exemplar– and print them out so that the court could look at both images to determine if it is indeed the same person. During the process the attorney asked me to form an opinion based on my experience. It was clear to me that the woman in the evidence video was very different than the woman in the exemplar video. The accused in the evidence video was much taller, her skin was much lighter, and her chin was pointier whereas our exemplar video showed our client as being shorter, having more of a round head, having a much different color complexion, and having a much different nose. On a side note, people can, of course, change their hair color and length very easily, so that should not be a consideration. I was still able to assist this attorney in getting our client acquitted from the charges she was facing. So, let’s review this entire identification process again. Step one: export the best still frame through the video software that you’re using–I use Premiere Pro and Final Cut Pro depending on the case application. Once the frames have been exported from the evidence and the exemplar, I then import them into Photoshop and clarify the images as much as possible. This does not alter the images but instead helps us more accurately see facial characteristics and body characteristics for identification purposes. I believe the court can use a video forensic expert to aid due process when it comes to identifying a criminal by the process that I’ve outlined in this post. The next time you walk down a city street, take a look around you and notice the number of video cameras and motion activation devices present that help control traffic, regulate complicated machinery and deter crime. They’re right there next to the street lights and traffic signals. Government buildings, police cars and even shopping malls use video surveillance equipment in many ways. This same equipment used to control and regulates traffic flow and machinery is known as CCTV video systems. One purpose is to regulate and another is to deter. 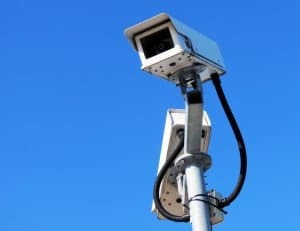 It is interesting that criminals have become aware of CCTV systems and consider the cameras when planning their strategy for a criminal activity. 1. Personal Identification: ability of the viewer to personally identify something within the scene, beyond a shadow of a doubt. This does not reflect human identification, but rather, the ability to identify specific information or objects within an image. Personal identification has two very important phases: The relationship of size and detail of an image, and the angle of view from which the scene is viewed. Without careful consideration of both aspects, your CCTV system merely records useless, unidentifiable images. Another problem in the analogue systems, when a Multiplexor switches between cameras for viewing different areas under security, an activity could occur at one of surveillance areas while that camera is off and another is on. Multiplexor’s are like video switchers: they periodically switch cameras to view by security personnel. The output of the multiplexor is most always recorded to a time lapse video tape recorder using ½ inch tape stock. 3. Scene Identification: ability for the scene to stand on its own merit. In a building with many similar hallways, equipped with surveillance cameras having similar angles of view, how can the hallways be differentiated when a CCTV monitor or tape is viewed? If an action is being recorded, how can each hallway be distinguished from the others? Scene identification is an important, but often overlooked, form of identification vital to effective video systems. There’s no margin for error when it comes to public safety. Metropolitan police departments all across the country are doing their best to deter criminal activity. When it can’t be prevented, the agencies want to apprehend and help prosecute the perpetrators. With human resources stretched thin, video surveillance has become a critical tool in the war on crime; it puts thousands of extra “eyes” on the street 24 hours a day, seven days a week. Insight Video Net, LLC (IVN) has emerged as a leading provider of digital media software and services to capture and manage video, especially for the public safety market. IVN has developed software called the Central Management System, or CMS, to store, retain and manage the video that comes from “fixed” as well as “mobile” cameras. CMS makes sense of huge amounts of raw video and turns it into indisputable evidence admissible in court. Cameras in public have become a way of life and we have grown to accept them and are use to them. In a city environment, a camera is connected to a closed circuit video television system hence the term (CCTV). This system has the ability to regulate the traffic by adjusting traffic signals according to traffic conditions. In law enforcement, video recording systems are installed in most police cruisers and help bring accidents, drunk driving and other traffic stop situations into the court room. Video forensic experts help courts understand video evidence and video evidence admissibility. From high tech tom low tech, CCTV systems come in many shapes and sizes and wired and wireless combinations. Two manufacturers of high tech systems are Pelco and IVC. Less complicated systems are manufactured by Fairfax Electronics and Safe Mart. Pelco has one of the largest CCTV systems is in place in the Denver, Colorado. It is one of the most intricate and largest CCTV systems in place in a city today. The Denver system manufactured by Pelco is comprised of hundreds of closed circuit cameras in dozens of municipal locations both indoor and outdoor and all connected to a very large computer that can be monitored in many different locations. IVC also specializes in multi-site video networks with remote access to live and stored video and equipment activity. CCTV systems play a major role in healthcare organizations and hospital operations. Medical practitioners rely on CCTV systems to critical care units under observation 24 hours a day seven days a week. 1. Within five years, every major city across America will have a surveillance system similar to Denver’s in place as well as surveillance systems that will require Video Forensic Consultants involved in litigation to help courts understand the evidence being presented. 2. There are three primary drivers of video surveillance. a. The ability to control access to areas that have restrictions, i.e., birth centers, emergency departments, pharmacies, surgical areas. c. The ability to record data and measure statistical information over a period of time. 3. General surveillance for after-the-fact (Forensic) investigations will continue to play a major role in litigation. 4. The ability to activity for security and non-security purposes will save institutions substantial amounts of money annually . Through service agreements, a $2.5 million performance contract, and ongoing support, Johnson Controls has helped WJMC reduce operating costs, improve comfort conditions for patients and staff, enable facility personnel to be more efficient, and significantly reduce energy consumption. In mid-2007, WJMC became the first hospital in Louisiana to earn an ENERGY STAR® from the U.S. EPA. In addition, Johnson Controls has helped the hospital to improve ventilation, maximize the efficiency of a new central energy plant, manage utility bills effectively and continuously improve facility management practices. “Video security is a fabulous tool, when it is integrated with door and alarm controls, inventory tagging systems. Another thing that is really important is the retrieval of the captured video, which provides instant access for those after-the-fact investigations. I would call it revolutionary”. Concerns over violent crime and civil liability lawsuits have caused schools, large corporations and small businesses to investigate avenues for securing their operations. 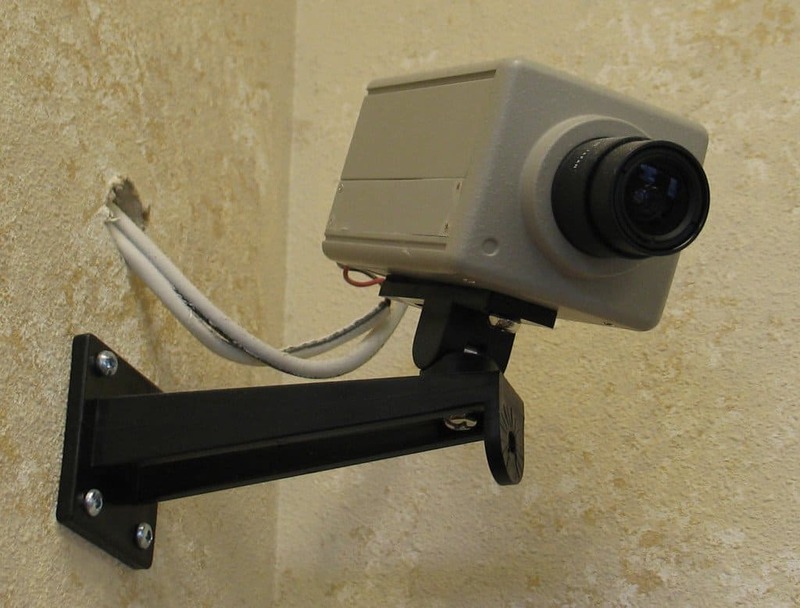 Closed Circuit Television (CCTV) systems are a popular security tool to combat such problems. Computer graphics digitally placed on the monitor and video cannot be relied on to provide the sole method of scene identification. These graphics can aid in identifying one scene from another when both have a similar angle of view. Without being able to identify the scene on its own merit, it would be easy to argue that the graphics were added to the tape after the fact. Preventing crime may be a goal but is not always the result of the billions of dollars worth of closed circuit television systems in use today. Often times the video footage retrieved from CCTV systems adds a degree of perplexity to due process. 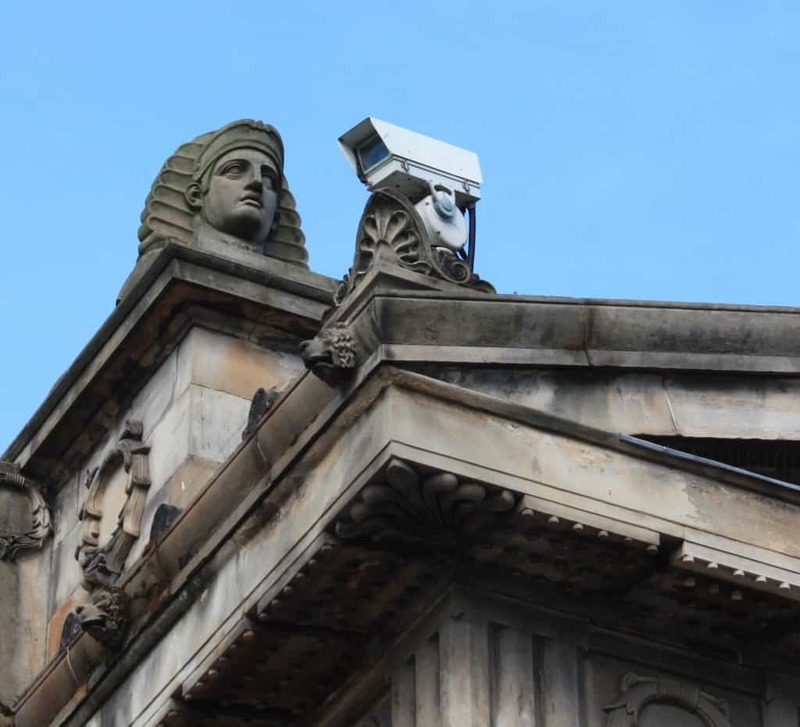 Video surveillance evidence has the potential of lengthening a litigation proceeding beyond that same proceeding without video evidence. It takes additional time and manpower in the legal system for clerical, administrative and legal to have a video forensic expert examine video evidence as well as the video expert. This evidence is either analogue (becoming extinct) or digital. Motions have to be filed in court for an expert to be able to examine the evidence which adds time and expense to the case. Experts often have to travel to the evidence as law enforcement is often skeptical and reluctant to release video evidence in fear it may become damaged or lost in transit. Authorities must maintain a chain of custody with video forensic evidence the same way they would with any other forensic evidence. This consideration adds time and cost to a case that has to be paid. Often times it is the court, public defenders office or another branch of government that absorbs these costs in criminal matters. Other times it’s the defense or plaintiff in a civil matter who will incur the costs of having forensic video evidence authenticated and admitted into the courtroom. As a video forensic expert, I have testified in cases where analogue (VHS) as well as digital video evidence was used. Both require a different methodology for examination and authentication. Every case I have testified in is unique and each judge overseeing those cases has reacted differently to the video evidence presented. Many courts do not understand video forensic technology which is why it is sometimes looked at as a junk science. However, In an April 12th, 2005 article, the New York Times reported “400 court cases dropped or acquitted because of VIDEO EVIDENCE contradicting POLICE LIES”. The courts that accept video evidence supported by a video forensic expert are usually those that involve an experienced trial attorney. So when presenting video evidence today, analogue or digital, admissibility boils down to the arguments of admissibility given by the presenting attorney. When accepted, video evidence can help a jury understand a crime scene or situation more clearly. Digital video evidence has a better chance of admissibility in court if the evidence follows a chain of custody protocol. Just like other evidence in a crime, law enforcement personnel are responsible for witnessing the exporting of the video evidence and delivering to evidence police lock up for examination by a qualified video forensic expert. Analogue tapes should also be picked up by law enforcement and taken to police lock up for future examination by a qualified video forensic personnel. Often each party in the litigation will hire their own video forensic expert. For example, in criminal cases, the police have crime labs that employ forensic video experts and the defense seek outside expert assistance. In Civil cases, each party will often seek a forensic expert depending on the position of each side with regard to the video evidence. One example would be authentication and another would be admissibility. Closed circuit TV, crime scene recreation video and cruiser traffic stop footage as evidence has become an element in litigation virtually overnight. Law enforcement agencies and our legal system have come to accept video as evidence in the courtroom and have become accustom to video forensics as a legitimate science. Unfortunately, those engaged in legal proceedings from time to time try to alter video evidence in their favor which is where the science of video forensics becomes a value to the legal proceeding. 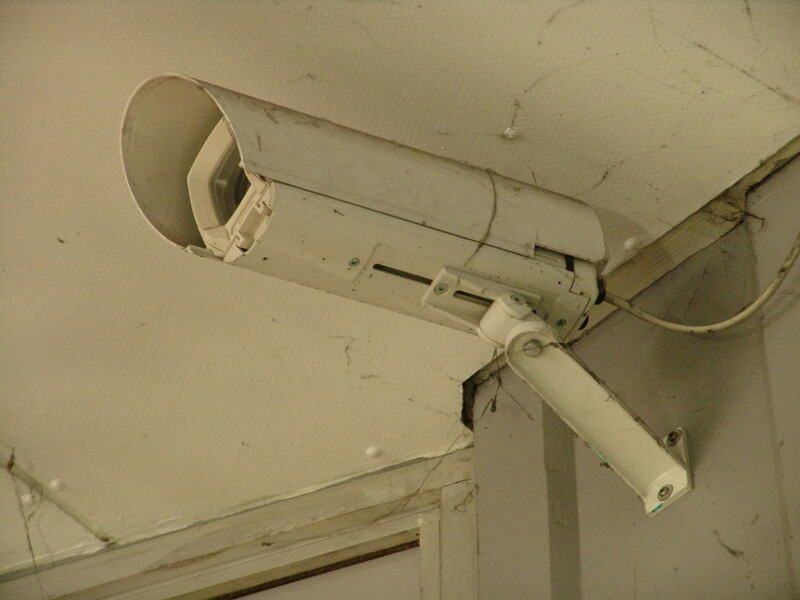 A CCTV system is a closed circuit television security system that employs cameras and either an analogue tape based recorder or digital computer or DVR-digital video recorder- based video recorder. Both record camera views onto their system and store them for later viewing, reviewing or in the case of a crime committed, identifying. Multiple cameras can be installed at a large or small location and viewed as well as recorded simultaneously on either analogue or digital format. Analog incorporating multiplexers, digital incorporates software programs. The more sophisticated systems like the ones Indianapolis manufacturer Pelco carries, and has in place in Denver, have many adjustments, settings, frame options and video export options as well as signal routing features. The lower end VHS systems are pretty straight forward and easy to operate but have less features and options. Both systems can incorporate point, tilt zoom or steady non moving cameras. The point tilt zoom cameras (PTZ) can move to follow action both automatically and manually. This activity can be operated by security personnel manually or through a technology of motion activation that detects the change in gray scale in the dedicated area. In the second situation of motion activation, the PTZ camera will be activated and follow the motion as it occurs. Non moving cameras capture the area under security in a stationary fashion. The advantage to DVR’s is that the quality is far superior to analogue especially when images must be retrieved for identification purposes or crime scene recreation. Digital formats add compression to the CCTV video which decreases the size of the video files allowing more video to be stored in the DVR. Some video evidence in cases where analogue video was used as evidence was recorded on time lapse VHS tape which has been recycled many times. The examination and authentication process requires a different process to authenticate than digital video. Only Hollywood can produce a high quality image from a worn out pixilated (give a definition) time lapse, low resolution analogue video tape of the suspected crime. When you factor in how much money it could cost to recover from the crime, pay a forensic expert to try and recover an image, purchasing a digital CCTV system is a much better investment and will produce better forensic results. Tape or analogue systems often fail to show useable evidence in a court of law. The main reason is because tapes are recycled over and over and even accidentally erased. Once a crime has been committed and caught on a digital recording device (DVR), a back up digital video can immediately be made of the crime using digital video technology. This back up video often called “book marking” or an” Alarm File” which is immediately taken out of the normal refresh cue and stored in a safe area for further forensic examination. 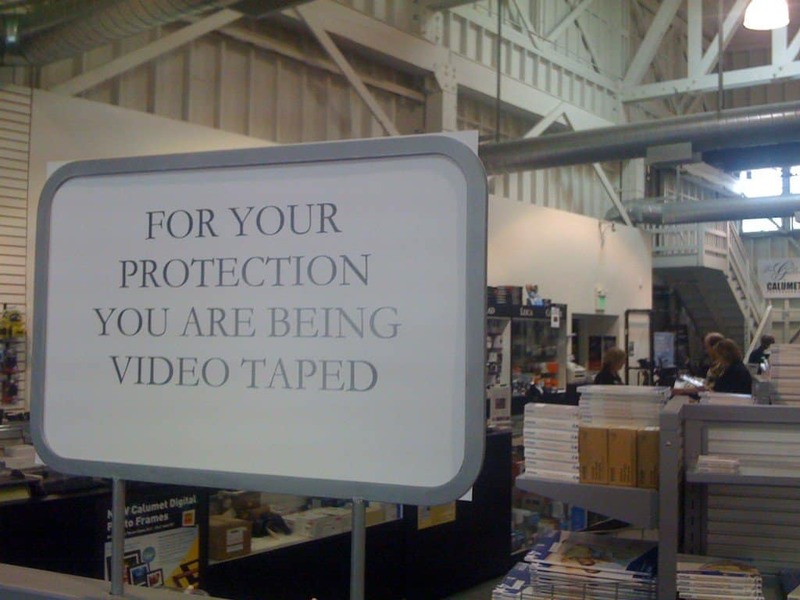 When analogue video is entered as evidence, the court or police make copies for all parties involved in the litigation. Those copies experience generation loss, similar to making copies of a document on a copy machine. Additionally, when storing analogue video with repeated playing often has degradation to the original crispness of the image on the video tape especially if the tape has been recycled which is often the case. It is much more difficult and expensive to create an image from a 75 dots per inch analogue recycled tape than it is to create an image from a 300 dots per inch digital image. There is no comparison. The digital video proves time and time again a much clearer image. Think about a crime free society using closed circuit television systems. These security systems reduce the potential for crime in your business, institution or community. There are bleeding edge closed circuit television systems that can increase security, reduce loss and prevent crime as well as control intricate machinery and just about other activity you can imagine. Closed Circuit Video Surveillance is once step closer to having a crime free society safely operating businesses, schools and institutions.